It is indeed great news that Danica Patrick makes her comeback to Indianapolis 500. But she comes as the broadcast team member, not a racer. Although fans will not see her on the field, they can get closer to her since she will appear in the broadcast team. The officials have confirmed that Danica Patrick will join the NBC Sports broadcast team for 2019 Indianapolis 500. The specific description of her involvement in the analyst. The NBC Network announced that Danica Patrick would give her professional insights about the upcoming Indy 500 event. Many people agree with her forthcoming appearance because she is the former IndyCar and NASCAR driver back then. She had made tons of achievements in the world of racing so that most folks will expect her to appear in the upcoming show. 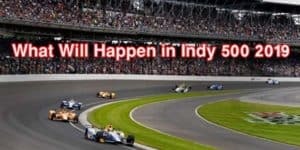 It is also a great decision to bring back the former IndyCar a NASCAR driver back to the screen since it will also increase the rains and viewers. Patrick also claimed that Indianapolis 500 held a special place in her heart. So, it does make sense that she accepted the offer from the NBC Network without long overdue. Besides the broadcast assignment in the race day, Danica Patrick will also give her insights at the NBC Sports’ pre-race and post-race coverage. But she will not do this alone. Mike Tirico will accompany her in those events. Danica Patrick was the IndyCar Rookie of the Year in 2005. She finished in the 12th in the points standings. Then, people remembered her name because of her achievement in winning an open-wheel race in important series, at 2008 Indy Japan 300. Then, Patrick switched to NASCAR in 2013 and managed the pole position at the season’s Daytona 500. She finished in the eight. Although it was far from number one, it was the highest finish by a woman in the race’s history. By now, there is no single woman racer can outmatch her achievements. Patrick retired from the professional racing back in 2018. Since then, a lot of fans have been missing her already. It is a rare phenomenon where the woman racer has had such dedications in the world of racing. Many people respect her. If you are the big fan of Danica Patrick, you will not want to miss the upcoming analysts from the racer.